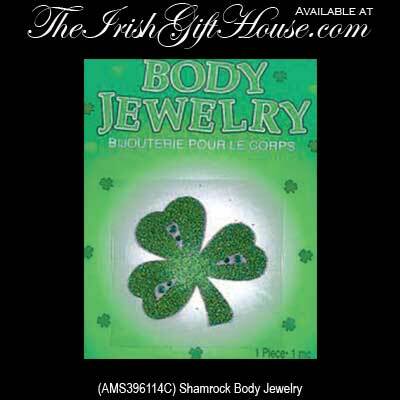 This St. Patrick's Day body jewelry from The Irish Gift House features a green shamrock. Get your St. Patrick's Day party started by wearing shamrock body jewelry. This Irish body art measures 1 3/4" tall x 1 1/2" wide.